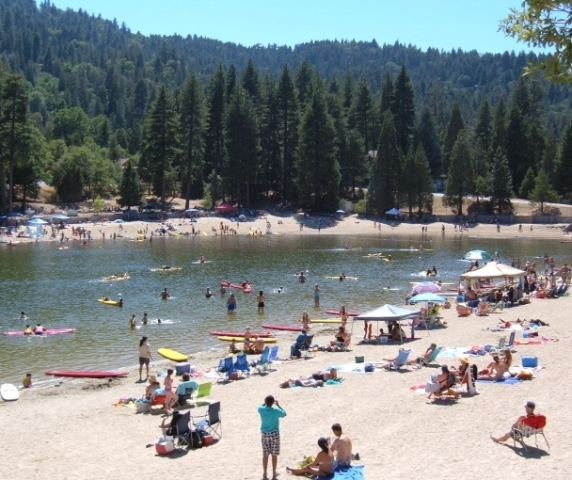 The Board of Supervisors hired Urban Parks and Concessionaires, also known as the California Parks Company, to take over the day-to-day operations at Lake Gregory and upgrade the park. Improvements include an expanded summer play area, a new fishing program, and renovation of the San Moritz Lodge. The Auditor-Controller/Treasurer/Tax Collector’s Office received two awards from the Government Finance Officers’ Association – the Award of Outstanding Achievement in Popular Annual Financial Reporting for the seventh consecutive year and a Certificate of Achievement for Excellence in Financial Reporting for the 25th consecutive year. After 10 years serving as Fourth District Supervisor and a long-distinguished career in public service, Gary Ovitt announced he would retire and not seek re-election to his office. 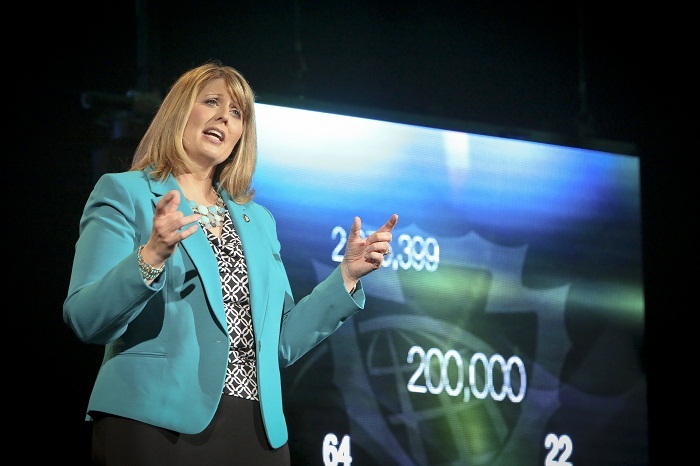 Board of Supervisors Chair Janice Rutherford gave an inspiring and captivating speech during the State of the County at Citizens Business Bank Arena in Ontario. Rutherford emphasized that through collaboration, we can achieve the goals of the Countywide Vision, www.sbcounty.gov/vision. During her presentation, Rutherford gave a rundown of the unique and important role County government plays in our everyday lives with statistics that reveal the work County departments engaged in over the last year. More than 1,000 residents, County employees, government leaders, business leaders, and community leaders attended. The San B ernardino County Museum in Redlands joined with the Google Cultural Institute to make the cultural heritage of inland Southern California easily available worldwide. Google has partnered with hundreds of museums, cultural institutions, and archives from 40 countries to host the world’s cultural treasures online. The online platform would be used to educate students about the diverse culture and rich history of San Bernardino County. Through their Cultural Institute, the museum can upload high-quality images from their collections. In addition, Google will develop “street views” inside the museum galleries to offer virtual tours of museum exhibits. 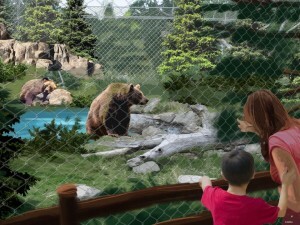 The Board of Supervisors voted to move the Big Bear Alpine Zoo to a more spacious 5-acre site. The zoo has been operating on a leased 2.5 acre site in the City of Big Bear Lake. Following a lengthy planning process, the Board approved the relocation to 3/4 of a mile north of the existing facility at the intersection of Moonridge Road and Club View Road. The relocation of the zoo will enhance the facility’s image and visibility, upgrade the animal care facilities, and provide an educational and entertaining environment for visitors. About 160 animals and a total of 64 species will have to be relocated. The project is in design and also includes the demolition of the existing zoo property after the new facility is constructed. Terry W. Thompson, an experienced and highly qualified manager with deep roots in the region’s business community, was hired to serve as the County’s Director of Real Estate Services, succeeding the retiring Dave Slaughter. Thompson oversees 153 employees in Architecture and Engineering, Facilities Management and Real Estate with multiple budgets that aggregate to nearly $380 million. San Bernardino County and San Bernardino Associated Governments joined together for the annual City-County Conference in Lake Arrowhead to discuss collective impact, education as an economic development strategy and healthy communities. 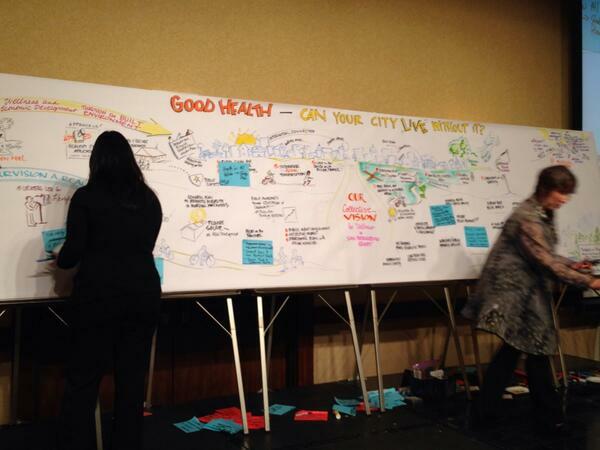 During one interactive presentation, elected leaders and other participants helped craft a healthy community billboard to show how health and prevention initiatives can attract business and resources to cities and other municipalities. Center was named the new director at San Bernardino County’s Arrowhead Regional Medical Center in Colton. 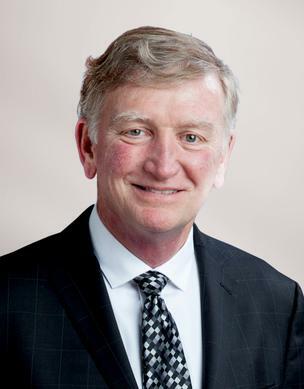 As director of ARMC, Foley is responsible for directing, planning, and administering all medical programs and services, ensuring that inpatient and outpatient medical care services are provided to the residents of San Bernardino County. The County Flood Control District celebrated its 75th anniversary and the strides it has made to help reduce flood risks and damages. The District operates and maintains 151 miles of levees, 226 miles of channels, 40 miles of storm drains, and 119 basins. 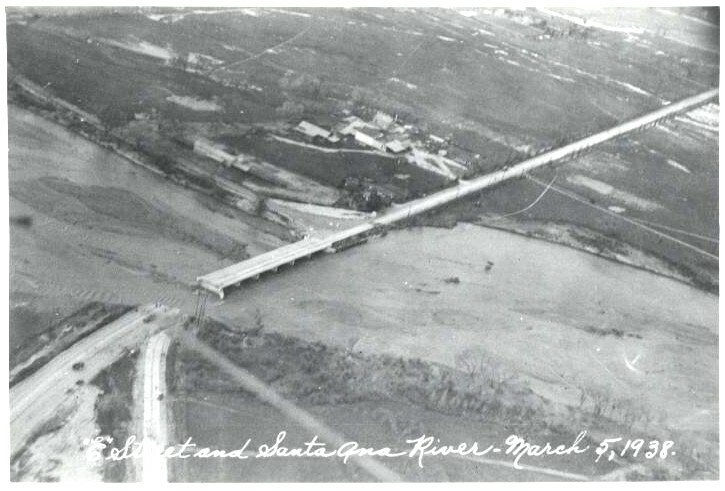 One of the most devastating storms in the County occurred on March 2 and 3, 1938, and flood waters caused 14 known deaths and damages estimated at $12 million (that’s more than $194 million in today’s dollars). Practically no part of the San Bernardino Valley or Mojave River Valley escaped the wrath of this storm with almost every community isolated and hundreds homeless. The district was formed the following year in 1939 as an urgency and progressive measure for the preservation and promotion of public peace, health, and safety as a direct aftermath of the disastrous floods. In May, the state’s Economic Development Department announced the unemployment rate in the county dropped to 8.3 percent in April, the lowest since 2008. In contrast, unemployment reached a high of 14.8 percent in July 2010. At the end of 2014, the unemployment rate had dropped to 7.7 percent in San Bernardino County. Give BIG San Bernardino County raised more than half a million dollars on May 8 for 262 local nonprofits during a 24-hour web-a-thon, surpassing a $300,000 goal set by the campaign, organized by The Community Foundation. 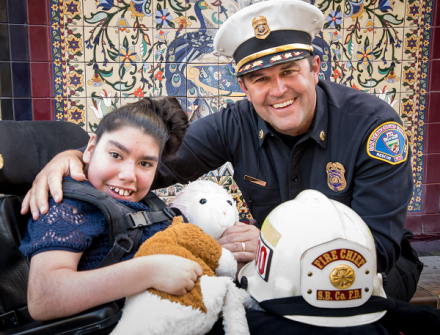 Online donations and other monies raised during the campaign totaled $548,214 to help support a variety of services for children, seniors, families, veterans and animals throughout the county. About $33,000 of the total amount raised was provided by sponsors for prize money awarded to the top 10 nonprofits that brought in the most new donors and the top five nonprofits that raised the most money. For the first time, Give BIG San Bernardino County brought nonprofits, sponsors and community members together to raise money, and also encouraged a culture of philanthropy among a new generation of donors. Nonprofits also received valuable training and structure to help market their causes, particularly through the use of social media. San Bernardino County’s Chief Executive Officer Gregory C. Devereaux and the Countywide Vision were honored with awards for excellence and sustainability by the Southern California Association of Governments. 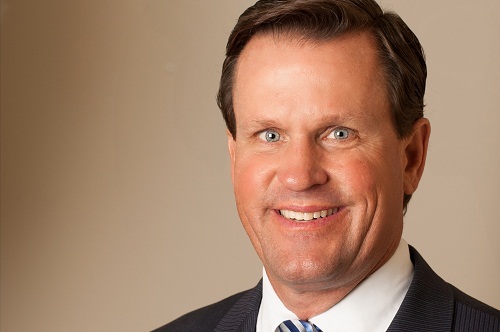 Devereaux was named Public Service Leader of the Year and recognized for his outstanding civic leadership for his many years of service in Southern California. Devereaux played a leading role in assisting the county’s elected leadership in developing the Countywide Vision. He is a consistent and regular leader on best practices for our communities on business revitalization and investments. Also, the County of San Bernardino and San Bernardino Associated Governments (SANBAG) were recognized for Achievement in Integrated Planning for collaborating on the Countywide Vision. The San Bernardino County District Attorney’s documentary “Teenage $ex 4 $ale: Human Trafficking in San Bernardino County” received a nomination for the 2014 Emmy Awards. The film was nominated in the Documentary category for excellence in the creation of a formal, structured television presentation with dramatic impact of an event, condition or situation of current, cultural and/or historical significance. The film is a 45-minute documentary that delves into the problem of sexual exploitation in the nation’s largest county. From boastful pimps preying on young women to one woman’s quest to open a home for female victims, the film highlights a unique coalition of government agencies and how they are reaching deep into the community to eradicate human trafficking. 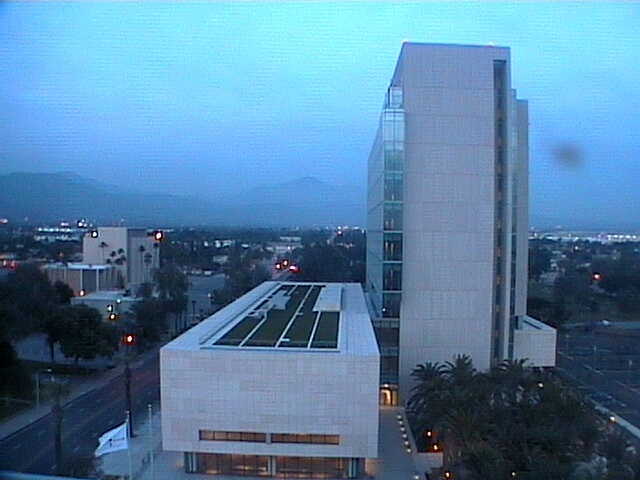 The new San Bernardino Justice Center opened after seven years of planning, design and construction. The justice center, located at 247 West Third Street in San Bernardino, has 35 courtrooms and two hearing rooms, and consolidates operations from several overcrowded and functionally inadequate facilities. The new 11-story structure occupies a 7-acre site donated by the City of San Bernardino, directly across from the historic courthouse, which continues to be used for family law proceedings. 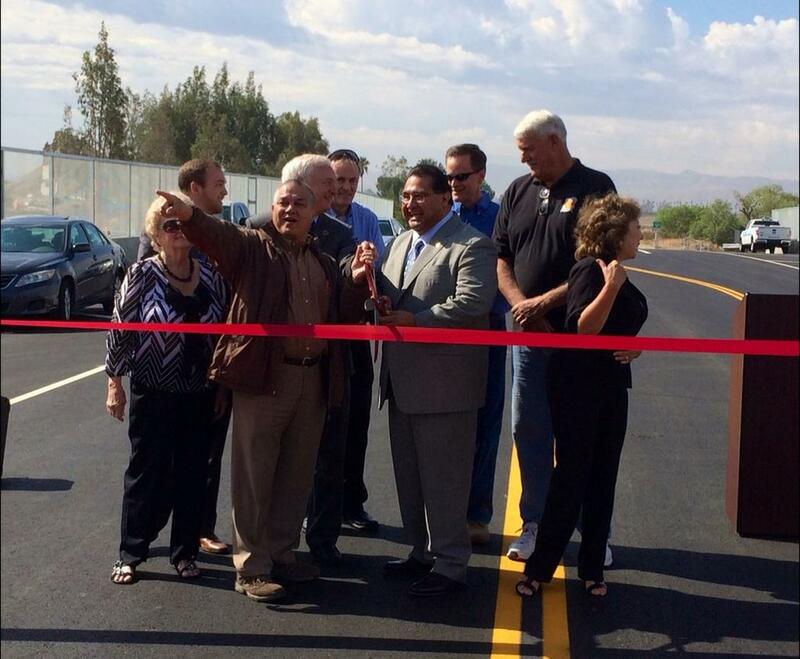 The modern facility better serves the needs of the county’s growing population. It also provides improved seismic safety and security operations, with a secure sally port for transportation of in-custody detainees, and is fully accessible to people with disabilities. 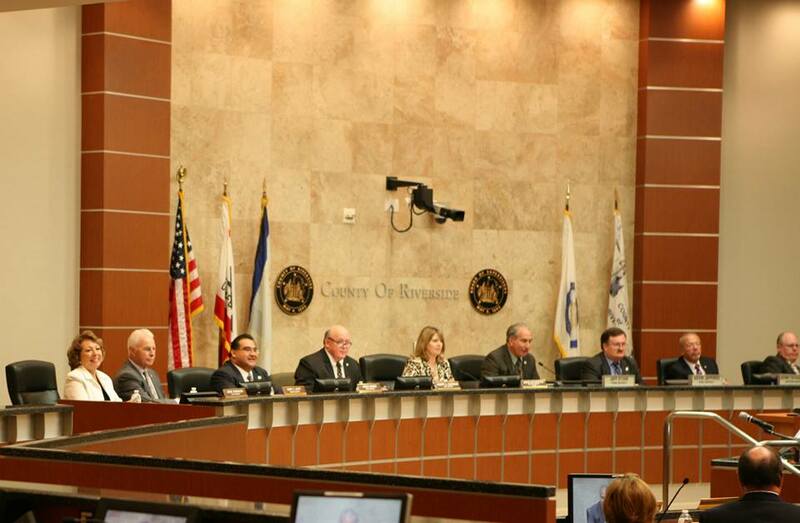 The Board of Supervisors unanimously adopted a balanced budget for the fiscal year that began on July 1.The budget is geared toward achieving the Countywide Vision, while reflecting the County’s ongoing struggle to cope with a deep economic downturn and dramatic and continuing increases in pension liabilities. The $4.8 billion budget is $165.2 million smaller than the previous budget and responsibly closed a $21 million gap between projected ongoing revenues and expenses without using reserves to cover ongoing expenses. The gap was fueled primarily by $12 million in federal and state takeaways and $9.7 million to cover the costs of AB 109 state prison realignment. County Chief Executive Officer Greg Devereaux described his staff’s effort to bring the Board a responsibly balanced budget as “two steps forward, one and a half steps back.” The economy has improved and revenues are slowly on the rise. However, it will take the County several more years to recover from the recession, which put the County behind in funding infrastructure, pensions, and basic services. The County of San Bernardino County surpassed its own record, winning 31 Achievement Awards from the National Association of Counties for its innovative programs and services, including top honors for the Countywide Vision as well as the State of the County event, which promotes the Vision. Last year, the County won 18 NACo awards and has won an average of 14 NACo awards annually for the past 10 years. The most awards the County received from NACo prior to 2014 were 27 in 2011. 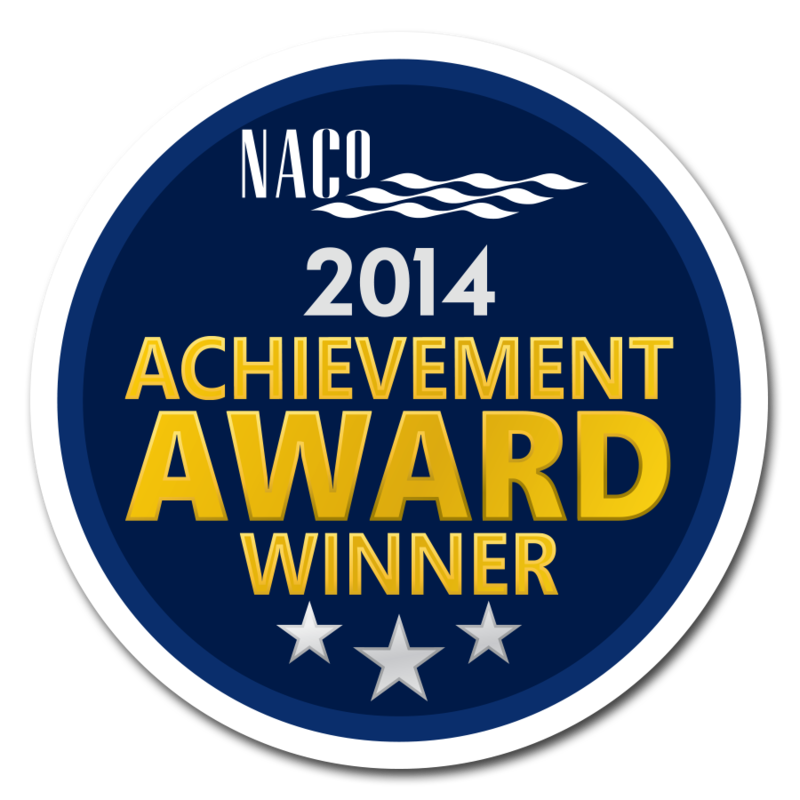 The NACo Achievement Awards Program recognizes innovative county government programs in the areas of children and youth, criminal justice, county administration, environmental protection, information technology, and health. This year, San Bernardino County led the region with more awards than the counties of Los Angeles, Orange, Riverside and Ventura. Only 29 of California’s 58 counties received top awards. The Purchasing Department received the 2014 Achievement of Excellence in Procurement (AEP) Award from the National Procurement Institute. The Purchasing Department obtains materials, equipment, and services in excess of $800 million annually that are essential to providing services to the citizens of San Bernardino County. The AEP program is recognized and endorsed by the National Institute for Government Purchasing and several other national and state organizations as the mark of excellence in public procurement. San Bernardino County achieved a high score based on criteria identified by the Institute, representative of industry best practices including innovation, professionalism, productivity, and leadership attributes of the procurement organization. Animal Care and Control staff and Cutie Pie’s Grooming spent Fourth of July weekend caring for more than 30 dogs surrendered to the shelter during an animal neglect case in the Phelan area. Many of the dogs required nearly two hours of grooming because their hair was so matted that one could not distinguish the front of the dog from the back of the dog. 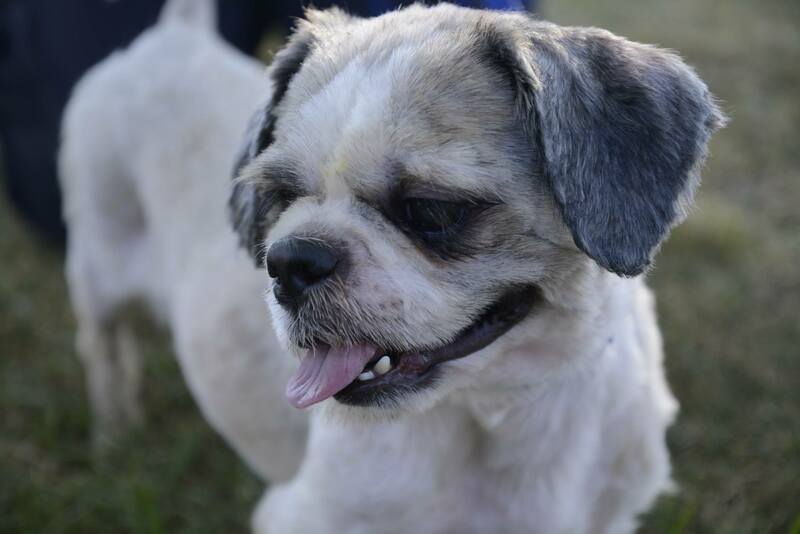 After extensive media coverage, the dogs were adopted to loving homes and rescues. A month later, nearly 100 animals, including rabbits, hamsters, turtles and parakeets, were surrendered to the San Bernardino County Animal Shelter in Devore. A similar media campaign resulted in the successful adoptions of those animals. The Department of Public Works received a Special Achievement in GIS Award at the ESRI International Users Conference in San Diego, held July 14-18. The award acknowledges vision, leadership, hard work, and innovative use of ESRI’s geographic information system technology. In April 2013, Public Works developed new geographic mapping information on their website to assist the public in viewing county roads, flood control and solid waste facilities locations throughout the county. Visit the website here. Spice is a mixture of herbs sprayed with the synthetic chemicals that are usually smoked. Bath salts are synthetic chemicals in a powder or crystal form that are usually snorted or injected. These highly addictive, synthetic drugs are marketed as potpourri, decorative sand, shoe deodorizers or glass cleaner; however they have nothing in common with the products they are advertised to be. The ordinance targets synthetic drugs beyond the traditional realm of lab testing and further allows for enforcement based on the marketing, price, sales location, warning labels and similarity to street drugs. The ordinance also creates penalties that include fines, misdemeanor charges and the possible loss of a business license. Alabama Street between the cities of Redlands and Highland reopened for more than 12,000 motorists who rely on the thoroughfare each day. Alabama has been closed seven times since 2003 for damage to the roadway caused by storm flows from City Creek. The project started in November of 2013 and consisted of construction of two 48-foot-wide by 169-foot-long arch culverts at City Creek; roadway widening and paving; concreted rock slope protection, and the installation of new electric, gas and communication lines. The project was completed on time and under budget. The completed project meets the FEMA-approved 100-year flood capacity and the water-carrying capacity of the road crossing is now increased by more than 600 percent. The project was completed at a construction cost of $2,350,010. More than 95 percent was funded by grants from the Federal Highway Administration and the state Office of Emergency Services. The remaining costs were shared by the San Bernardino County Flood Control District, the City of Highland, the City of Redlands, the City of San Bernardino and the Inland Valley Development Agency. 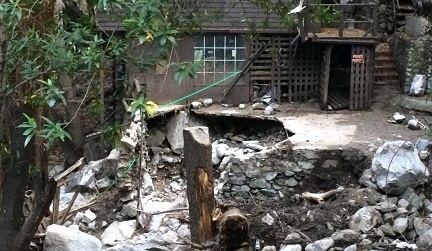 The County’s Department of Public Works and County Fire Department kept busy helping to restore order to various county communities following August floods and debris flows. Mt. Baldy, Forest Falls, and Oak Glen were hit the hardest. County Fire Hand Crews were working in Mt. Baldy and Forest Falls helping residents dig out from the mud and debris. County Fire also brought in equipment to clear driveways of mud and debris. The desert areas of the county suffered as well, with Barstow Heights and Big River the hardest hit. Public Works crews were also dispatched to Helendale, National Trails Highway, and various earthen flood control channels. The San Bernardino County Board of Supervisors and Riverside County Board of Supervisors conducted a rare joint meeting on September 16 in Riverside to discuss issues of regional importance, including the local impacts of the Affordable Care Act, the release of state prison inmates to local communities for supervision, and the future of Ontario International Airport. The board also discussed forming a subcommittee on inter-county cooperation to ensure regional issues are addressed in a timely manner. The two boards had not met since February 2008 in Sacramento. 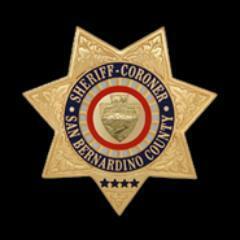 The boards also met together in January 2000 in Riverside and in March 1999 in San Bernardino. In an effort to increase the public’s understanding of the services available through County government, the Board of Supervisors approved a new visual identity for the County and its various agencies, departments, and divisions. Having a consistent visual identity helps residents know which services are provided by County agencies and know that the County is responsible for making sure those services are provided competently and efficiently. Over time, each of the County’s more than 50 agencies, departments, and divisions had adopted their own separate visual identities, sometimes making it unclear that these entities are all part of the same County organization. The new visual identity – consisting of a logo, color scheme, and typography – maintains use of the historic arrowhead as a recognizable symbol of the county. In an effort to promote wildfire readiness, County Fire implemented the Red Flag Community Notification program. When conditions for extreme fire danger arise and the National Weather Service posts a Fire Weather Watch or a Red Flag Warning, residents will see a red flag flown below the American flag at all County Fire stations within the affected area. Residents will then know to prepare by focusing on preparation and prevention in and around their homes. San Bernardino County officials and law enforcement partners broke ground for the new Sheriff’s Crime Lab building at 200 South Lena Road in San Bernardino. 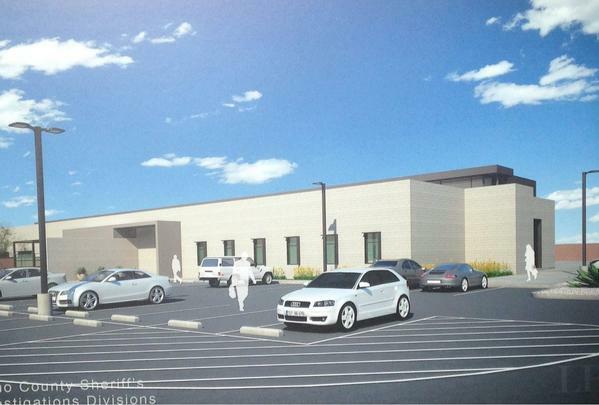 The new building will house a narcotics lab, indoor vehicle processing area, indoor shooting tank, indoor 40-yard shooting range and a combined breath and blood alcohol testing lab. 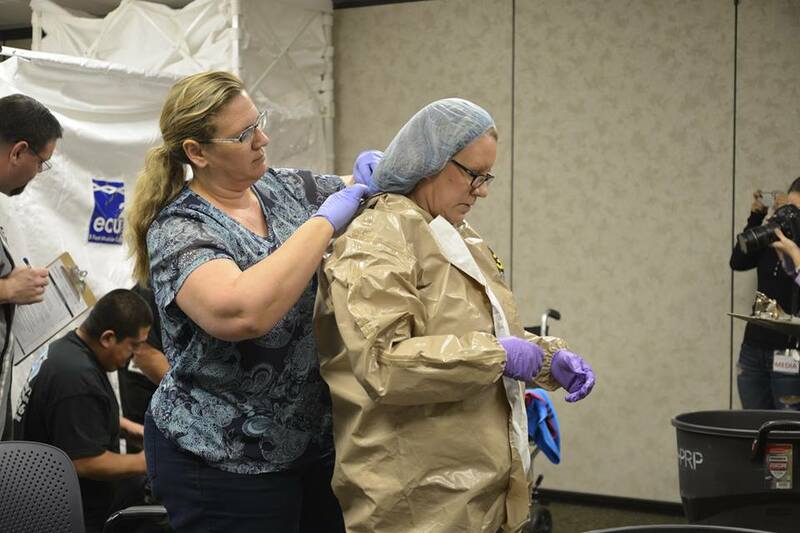 San Bernardino County’s top public health officer told the Board of Supervisors that even though there are no confirmed cases of Ebola in California, the County is prepared to respond to the virus. Medical and public health professionals throughout the county are prepared to stop the spread of the virus by isolating ill patients, tracing all who may be exposed to ill patients and further isolation of contacts if they develop symptoms. Medical workers are trained to wear protective gloves, gowns, facemasks and eye protection. They are expected to report any patient suspected of having the Ebola virus to the San Bernardino County Department of Public Health. Larry Vaupel brought extensive experience in private and public sector economic and real estate development when he assumed the helm of the San Bernardino County Economic Development Agency in November. Vaupel oversees three County departments – Workforce Development, Community Development and Housing, and Economic Development – with a combined staff of 139 public service professionals. 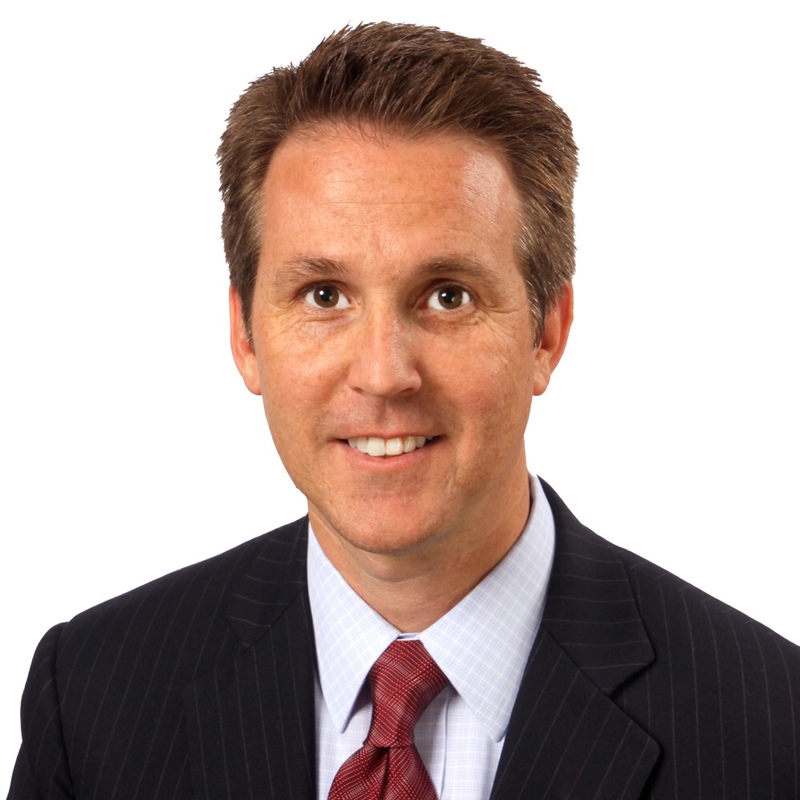 Previously, Vaupel served as Economic Development Manager for City of Riverside, where he led a team of 11 economic development and marketing professionals helping businesses create jobs. Prior to his service in Riverside, Vaupel spent much of his career in Illinois working in city planning, real estate development, and economic development, where he served a diverse mix of urban, suburban and rural communities. 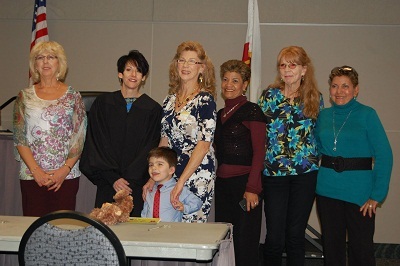 Adoptions of 89 children were celebrated during San Bernardino County Children and Family Services (CFS) Adoption Finalization Celebration on November 20 at the Ontario Convention Center. Eighteen families adopted sets of siblings and 28 of the children were adopted by family members. The celebration was also distinguished by a record number of adoptions of children, 47, who were three years old and younger. The department averages nearly 400 adoptions each year. 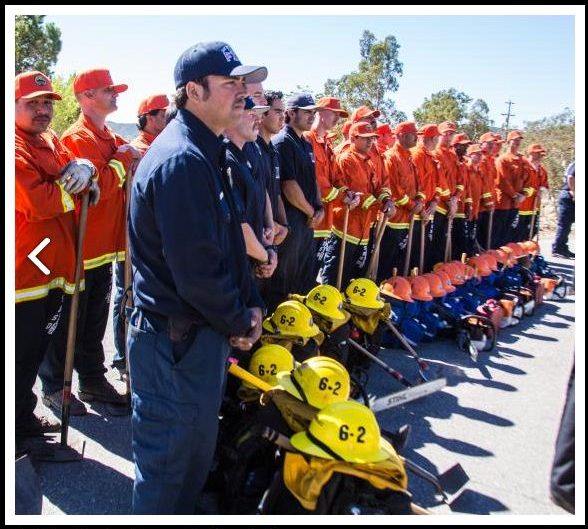 Teaching homeowners to prevent fires around their homes, training inmates to fight wildfires and working to end human trafficking were three innovative County programs honored by the California State Association of Counties. The three 2014 CSAC Challenge Awards were presented to the Land Use Services Department, the San Bernardino County Sheriff’s Department, the County Fire Department, and the District Attorney’s Office. The CSAC Challenge Awards are part of a highly competitive recognition program that honors the best and most innovative among California’s 58 counties. Supervisors Curt Hagman and Janice Rutherford spoke of teamwork as they began new four-year terms on the Board of Supervisors following Oath of Office ceremonies. Supervisor Rutherford, who serves as Board of Supervisors Chair, will continue to represent the Second District, which includes the cities of Upland, Rancho Cucamonga, and Fontana, and the unincorporated communities of Lake Arrowhead, Crestline, and San Antonio Heights. Chair Rutherford has been on the board since 2010. She was re-elected in June. Supervisor Hagman represents the Fourth District, which includes the cities of Chino Hills, Chino, Ontario, Montclair, and Upland. 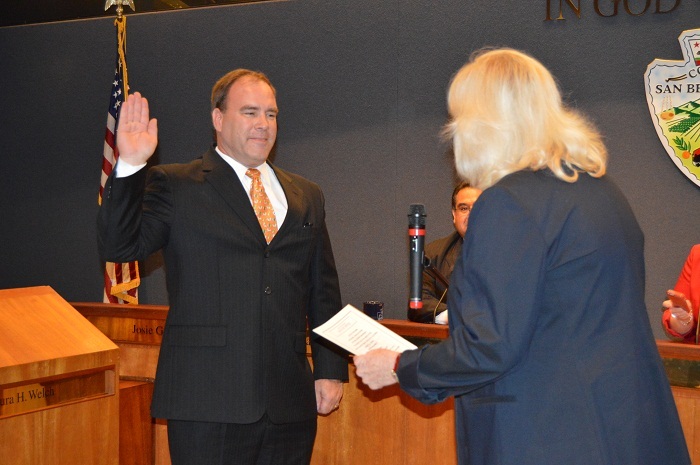 He was elected to the Board of Supervisors in November to succeed Gary Ovitt, who retired after 10 years on the Board. 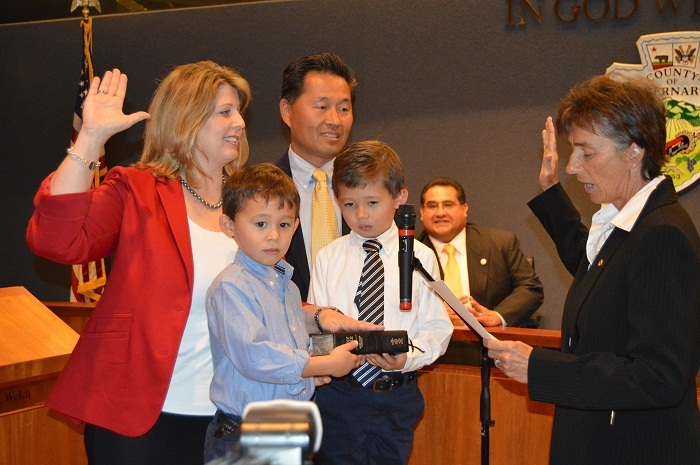 Supervisor Hagman just completed six years of service to the county in the State Assembly and previously served as mayor of Chino Hills.